Circulating tumor cells (CTCs) and circulating tumor DNA (ctDNA) are emerging noninvasive multifunctional biomarkers in liquid biopsy allowing for early diagnosis, accurate prognosis, therapeutic target selection, spatiotemporal monitoring of metastasis, as well as monitoring response and resistance to treatment. CTCs and ctDNA are released from different tumor types at different stages and contribute complementary information for clinical decision. Although big strides have been taken in technology development for detection, isolation and characterization of CTCs and sensitive and specific detection of ctDNA, CTC-, and ctDNA-based liquid biopsies may not be widely adopted for routine cancer patient care until the suitability, accuracy, and reliability of these tests are validated and more standardized protocols are corroborated in large, independent, prospectively designed trials. 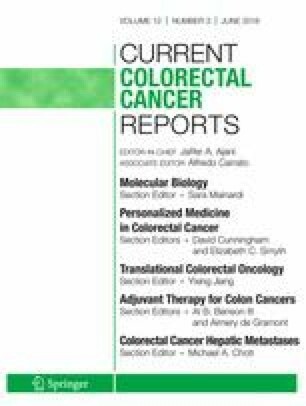 This review covers CTC- and ctDNA-related technologies and their application in colorectal cancer. The promise of CTC- and ctDNA-based liquid biopsies is envisioned.